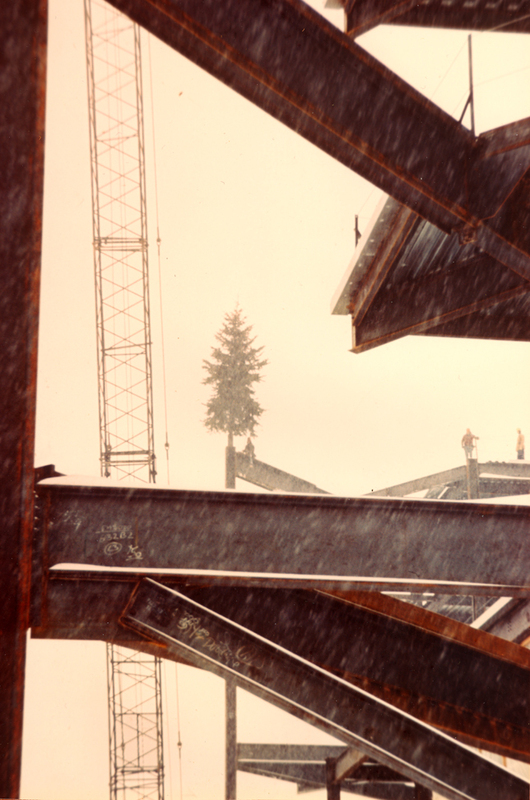 Construction workers put up a tree in a precarious place during the construction of the on campus hospital, circa 1983. The photograph is part of the University Hospitals Board of Governors records at the University Archives. Thanks to several comments (see below), a more accurate description of the image is that of “topping out” the frame of the hospital. Although the photograph was taken between November and January, the tree is much more likely a representation of a long time tradition in building construction. The photograph was taken on December 13, 1983. 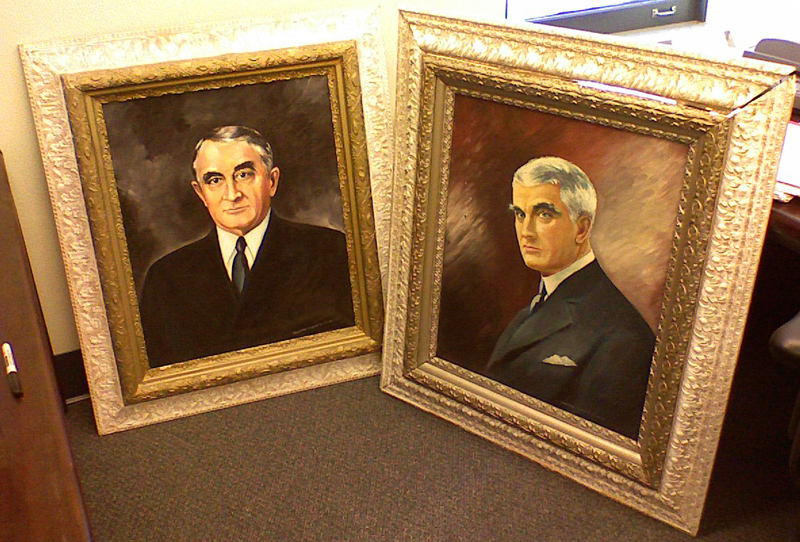 I have been able to track down more information regarding the two portraits of the Mayo brothers, Charles (left) and William (right), which were removed from the Mayo Memorial Auditorium during its renovation. The artist is Minerva Lyons Eisenberg who was born in Newcastle-on-the-Tyne, England and was married to Martin Eisenberg. At the time the paintings were done they lived in Minneapolis. Mr. Eisenberg either owned or operated Billy & Marty’s Tobacconists in downtown Minneapolis. My early assumption that the artist might be related to the Mayo Clinic benefactor George M. Eisenberg seems to be unfounded. The two paintings were part of a larger exhibit of forty-seven world leaders the artist put together. The exhibit was shown at the Southdale Center, Edina MN during a Brotherhood Week celebration during the 1970s. Minerva Eisenberg wrote to the Mayo Clinic in Rochester, MN to inquire if there was an interest in purchasing the two portraits. The Mayo declined in 1979. 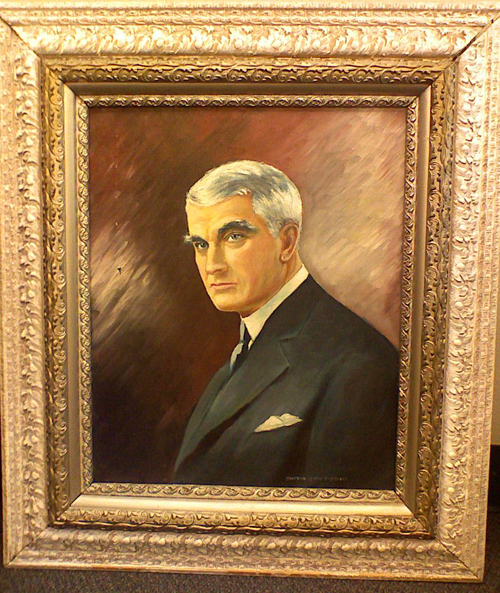 As yet, I have not been able to determine when the portraits came to the University and whether or not the portraits were donated or purchased. There is no record of the paintings in a listing of public art on campus. There is also no other information on the artist. The Getty’s union list of artists and AskArt.com do not reference her. Hopefully this will not be the final word on the portraits. I am still optimistic that I can find some documentation on their acquisition by the University. I would also like to thank the individuals at Mayo Historical Archives, Weisman Art Museum, and the Minneapolis Institute of Arts who have been so helpful in tracking down what little information there is. When I came back from lunch today, these two portraits were sitting in my office. They are of Dr. Charles and Dr. William Mayo (respectively). 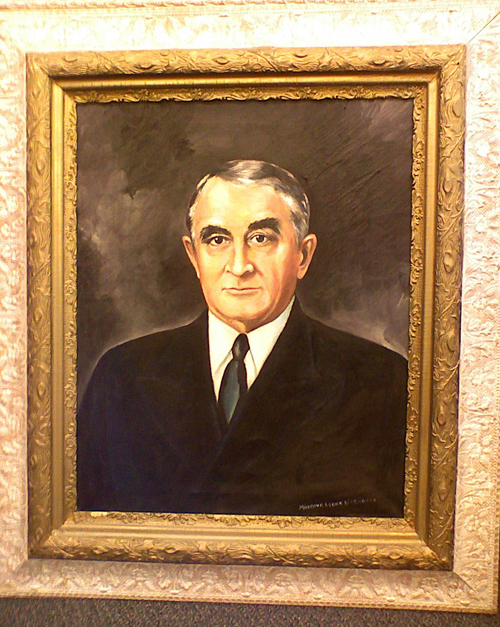 Their portraits have graced the entry into the Mayo Memorial Auditorium for years, but now due to its ongoing renovation they have been removed. Little is known about the portraits, the artist, or their donation (purchase?) to/by the University. The artist’s signature reads: Minerva Lyons Eisenberg. I look forward to learning more about my new office mates. I’ll update with what I find. Eight more boxes have arrived from the Dean’s office bringing the total to 14 linear feet. It is all in need of reboxing and some foldering. There are perhaps a few more boxes to go. I’ve begun looking through the materials and have reboxed the first box and some of the second. I finally had a chance to pull the previously accessioned material. It was half a linear foot and contains only material from 1984-1985. 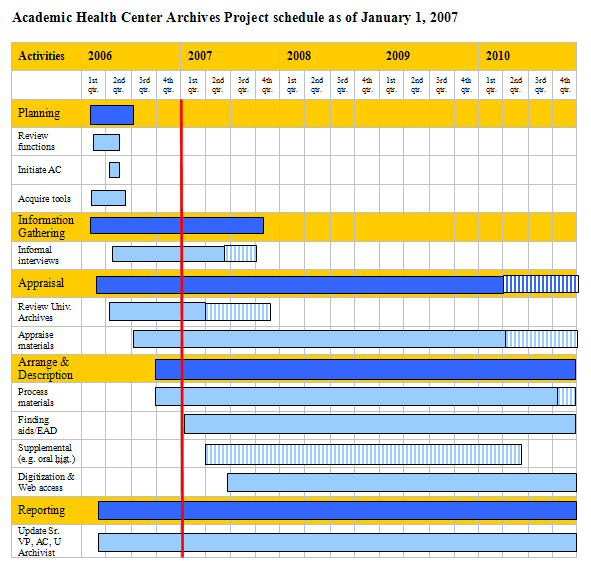 This is the final period of the construction of the hospital and most of the material is related to this event. Now I will be able to go through the recent BoG acquisition to see if these same materials are duplicated or if they are unique. 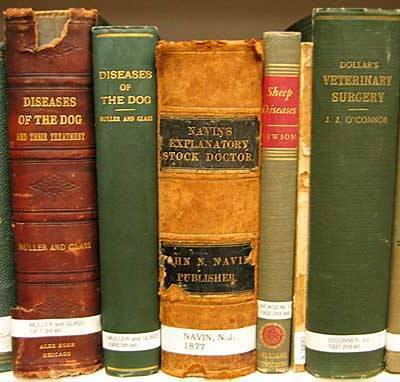 I received a small package containing a few folders of material related to Dr. John Arnold (retired) a former faculty member of the College of Veterinary Medicine and head of the Department of Veterinary Surgery and Radiology. Along with materials related to his leadership position in the College there is some information regarding his work with Seoul National University and veterinary programs in Iran during the 1970s.